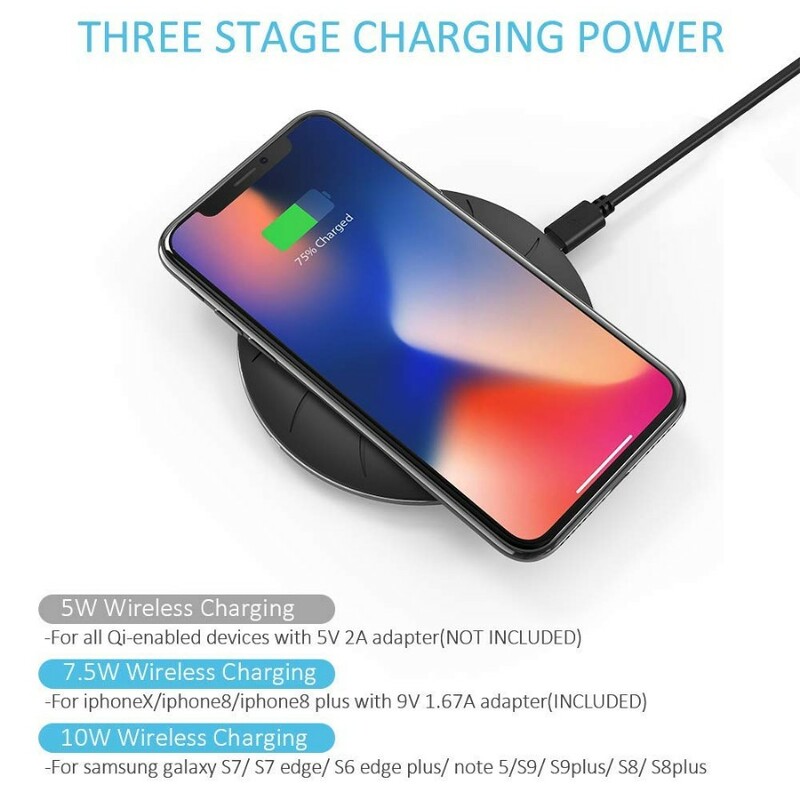 【5W/7.5W/10W,ONE FOR ALL Qi DEVICES】The Qi wireless charger works with all qi-enabled phones, 10W fast charging is for Samsung Galaxy S9/S9plus, S8/S8plus, S7/S7 edge, S6 edge plus, Note 5. 7.5W fast charging is for iPhone X/8/8 plus, 5W standard charging power is compatible with ALL Qi-enabled devices. 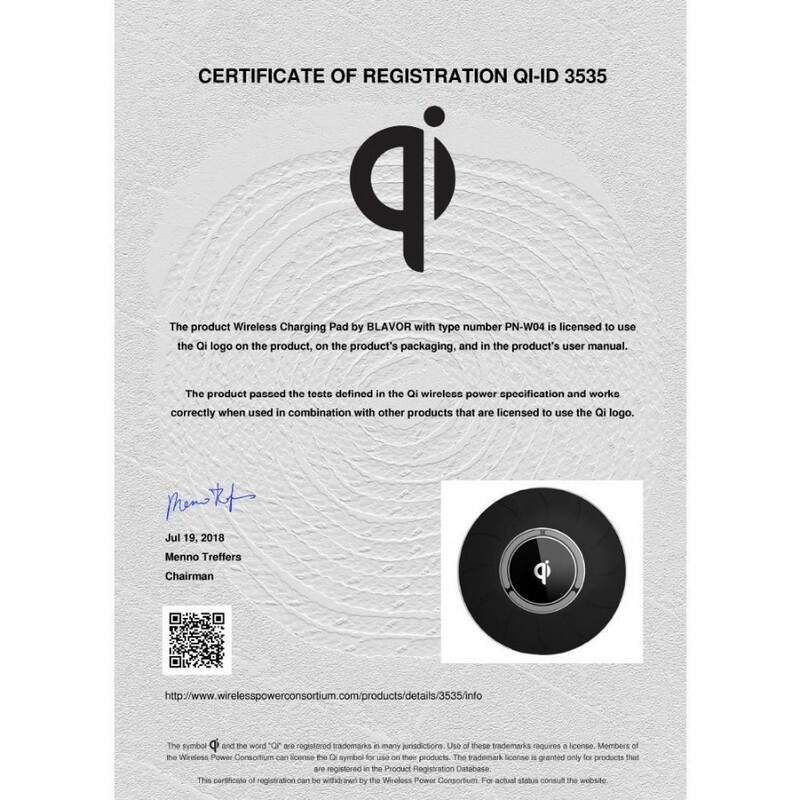 【QC 3.0 AC QUICK CHARGE ADAPTER INCLUDED】 Qi wireless charger comes with a QC 3.0 AC fast charging adapter, To achieve 10W and 7.5W charging power, please use our QC 3.0 adapter (INCLUDED) and use 5V, 2A adapter (NOT INCLUDED) for 5W charging power. Please use the appropriate adapters for best results. 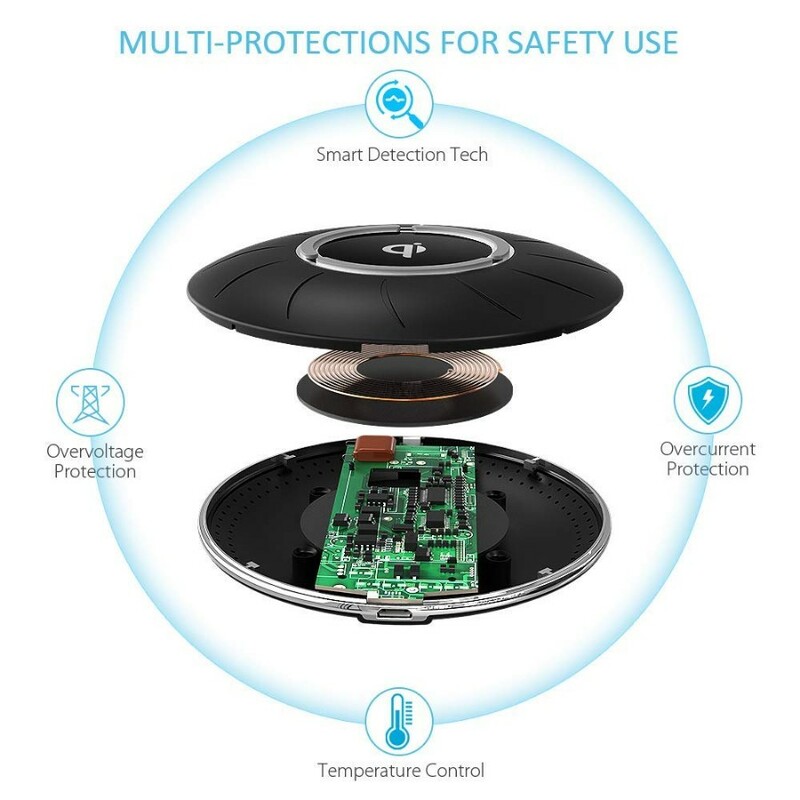 【MULTI-PROTECTIONS & SMART DETECTION 】The fast wireless charger with built-in smart chip offers multi-protections like temperature control, surge protection, short-circuit protection, overcurrent/overvoltage protection. 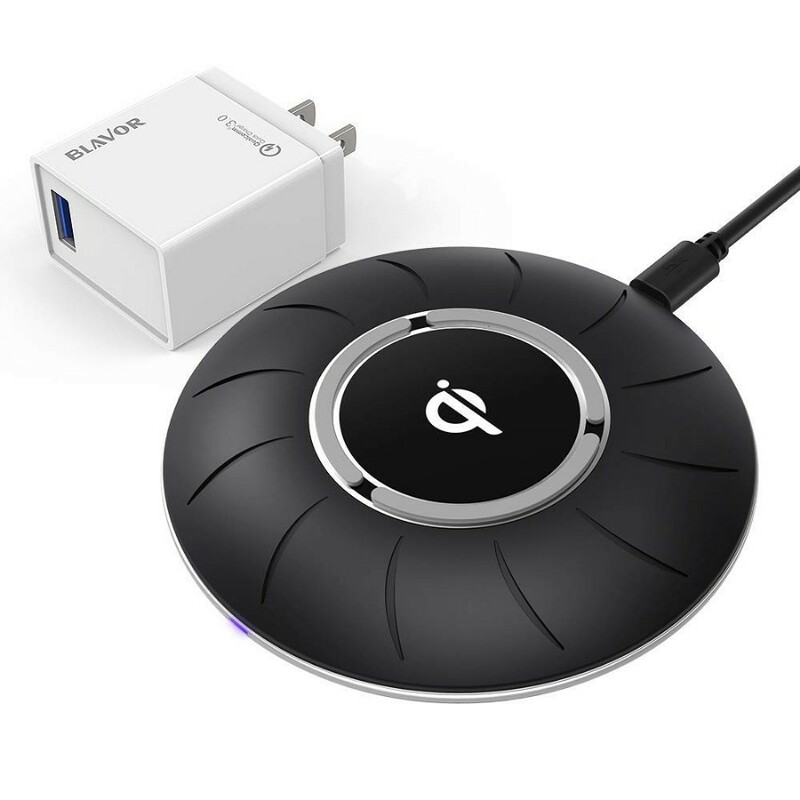 Smart detection tech is applied in this Qi wireless charger, contributing to charging with case(≤5mm) on. Metal, magnetic attachments like coins,IC Cards, bank cards are strongly suggested to be removed before charging. 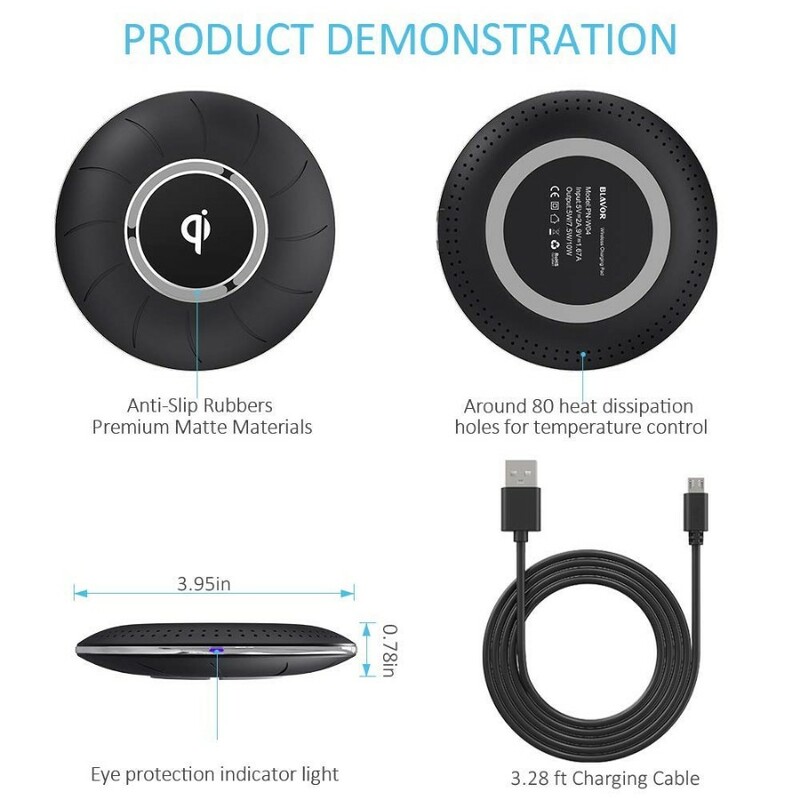 【 100% MONEY-BACK GUARANTEE】 offers 100%money-back guarantee and timely & considerate after-before-sale services, elliminating all your worries about getting this Qi wireless charger, Please get your fast wireless charger and QC 3.0 adapter with confidence! 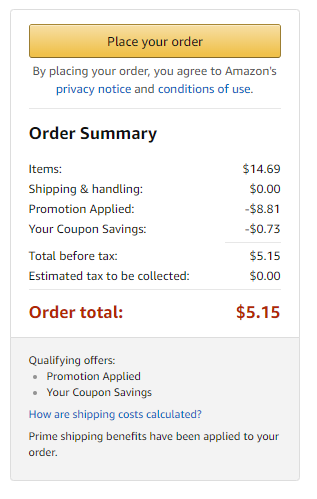 5% Save an extra 5% when you apply this coupon. 클릭하시면 5.15네요. 잘 구매했습니다.